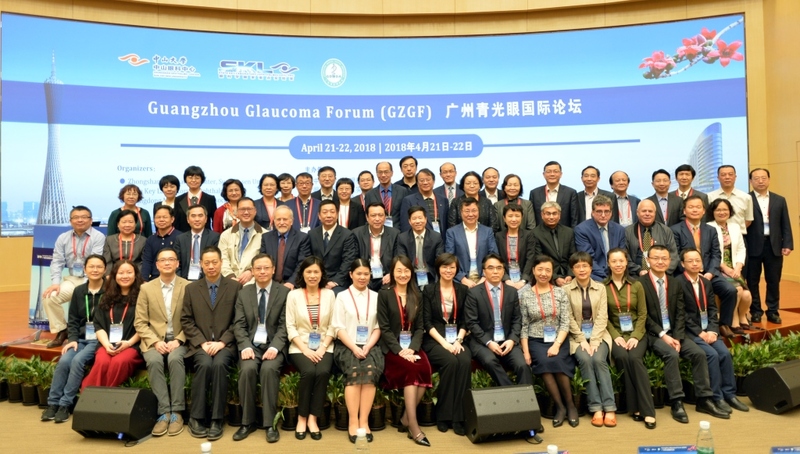 On April 21-22 2018, the 2nd Guangzhou Glaucoma Forum (GZGF) was held at the Zhujiang New Town Premises, Zhongshan Ophthalmic Center (ZOC). This GZGF was organized by ZOC, State Key Laboratory of Ophthalmology (SKLO) and Guangdong Medical Doctor Association. Highly respected international experts from the U.S.A., the UK, Austria, Israel, Korea, Hong Kong, Macau, Taiwan, and domestic glaucoma experts from Chinese Glaucoma Society and Guangdong Medical Association attended in the forum. Diverse sessions participated by ophthalmologists from different subspecialties provided new insights for treatment in retinal & vitreous disease and glaucoma, integrated images analyzation and early diagnose of glaucoma, minimally invasive surgery progression, pediatric glaucoma, neuroprotection and translational medicine. Over 400 people attended this event. The aims of GZGF are to establish a platform for working together to enhance the exchange between glaucoma and other disciplines, to facilitate the development of diagnosis technology and research innovation, and to protect the general public’s eye health and vision quality.